Bathroom storage can be tricky. Finding places for all of those toiletries, hair tools, rolls of toilet paper, spare bobby pins, and cotton balls can be a challenge, especially when you’re working with a small space. Cabinets and closets are the most obvious choices for bathroom storage, but small bathrooms don’t always have space for these kinds of built-in units. We hope these creative storage ideas will inspire you with ways to make the most of your small spaces. Baskets make great shelves because they are simple to install and they add a decorative element. You can hang them horizontally and display things inside like a traditional shelf, or keep them vertical and use the depth to stack towels or store taller items. 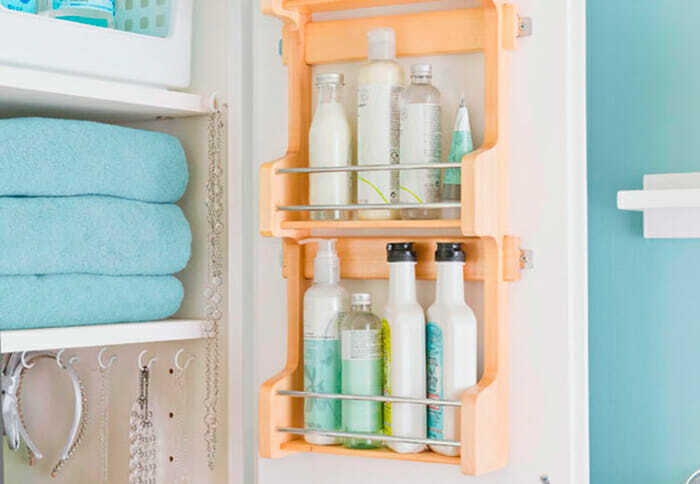 Your bathroom door can be used for storage in lots of different ways. Hanging towel racks and over-the-door organizers are a great way to utilize the space behind your door. 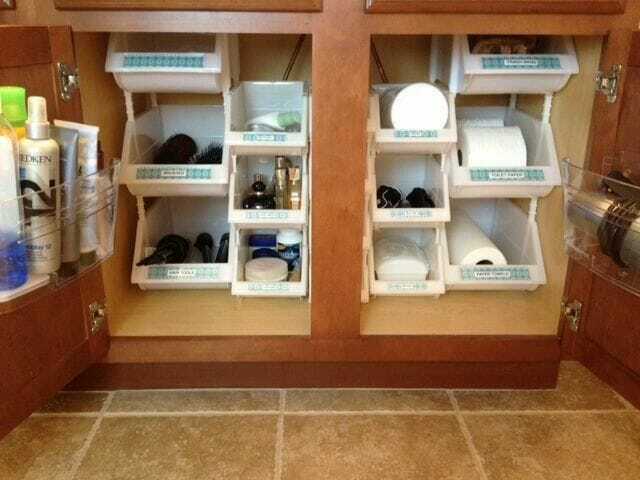 Be sure you are utilizing the under-the-sink storage you already have to its fullest potential. Install sliding drawers in the bottom of a sink unit to use the entire depth of the cabinet in an easy-to-access way. Use stackable plastic drawers inside a cabinet to keep things organized and use cabinet space more efficiently. 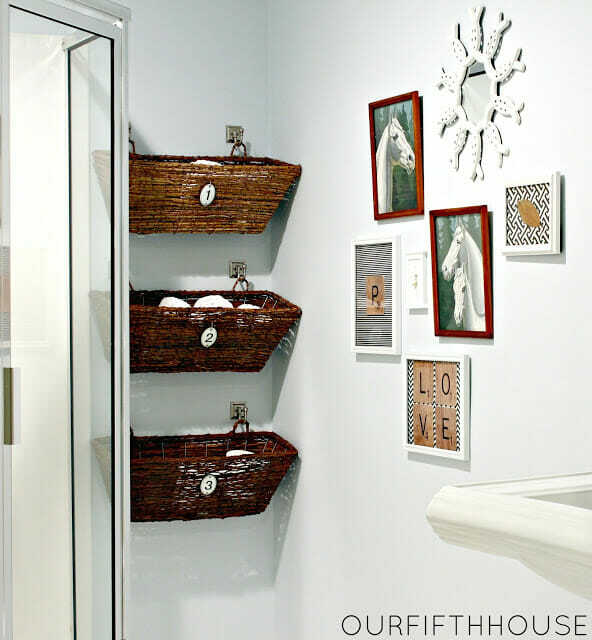 Many kitchen or office organizers can be multi-purposed into bathroom storage. Attaching wire or plastic organizers to the inside of your cabinet doors is a great way to save space and keep the items you use most in easy reach. 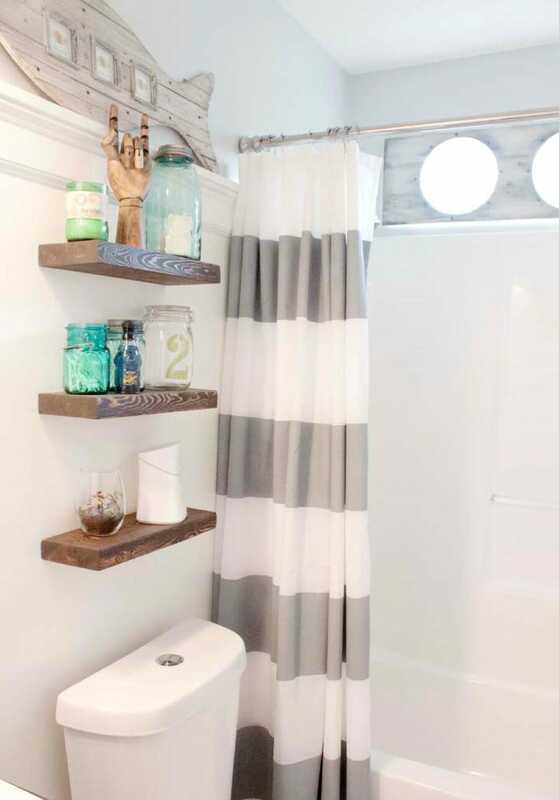 Floating shelves take up a limited amount of space, but can add several storage surfaces to your bathroom. 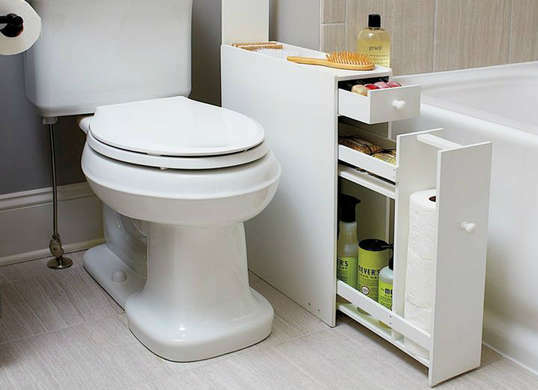 Shelves can be installed in spaces that might otherwise be wasted like behind the toilet or over the door. If standard floating shelves don’t suit your style, you can add brackets, or reverse brackets for a different look. This may seem too narrow to be effective, but you’d be surprised at how much you can fit into a narrow drawer unit like this one. With just 8 inches of space, extra rolls of toilet paper, hair accessories, and toiletries can be tucked away out of sight. If you have a pedestal sink or a wall-mounted sink with no storage beneath it, add a sink skirt to create a hidden storage place underneath your sink. 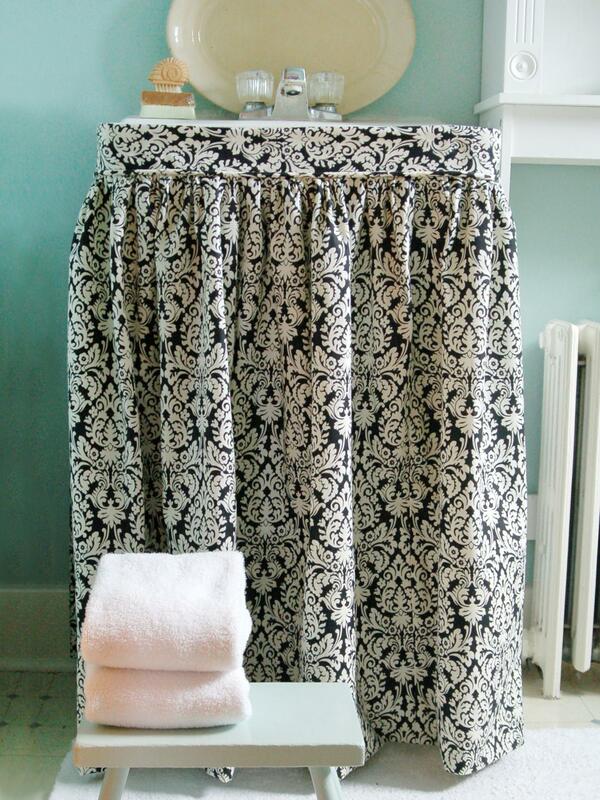 Match to your shower curtain to add patterns and texture, or choose a soft neutral color for a less noticeable look. 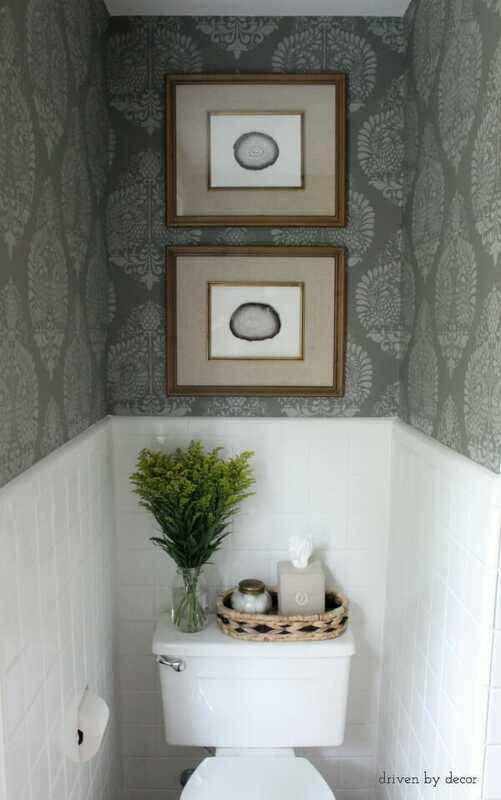 Similar to the sink-skirt this is a way to make a floating or pedestal sink into a viable storage option. 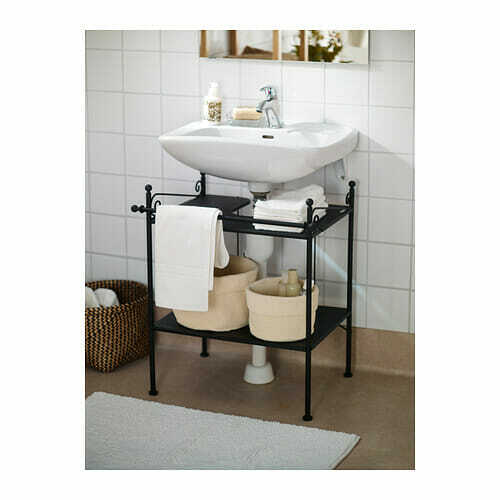 Shelves like this one from IKEA are specifically designed to fit around the base of a pedestal sink. Don’t forget about the back of your toilet! Pop a box, basket, or a shelf onto this natural ledge and use it for holding toilet paper, a box of tissues, fancy hand soaps, or a stack of magazines. 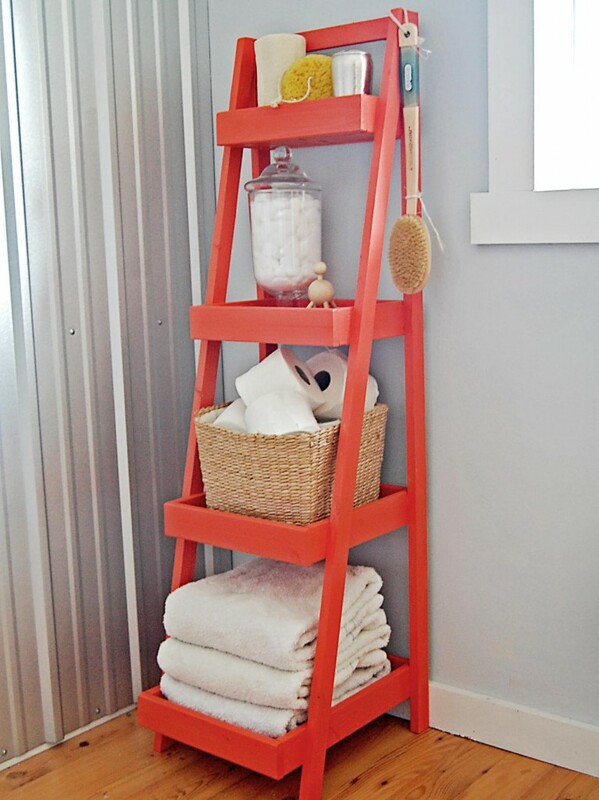 Storage ladders can be used to hold everything from hand towels to reading materials. Since ladders come in many different heights and depths, you can easily find one to fit your space, no matter how small. Storage ladders are also easy to paint and customize to your style. Christmas Trees: Artificial, Fresh, or Living? Want a Paperless Home Office? Here’s How.